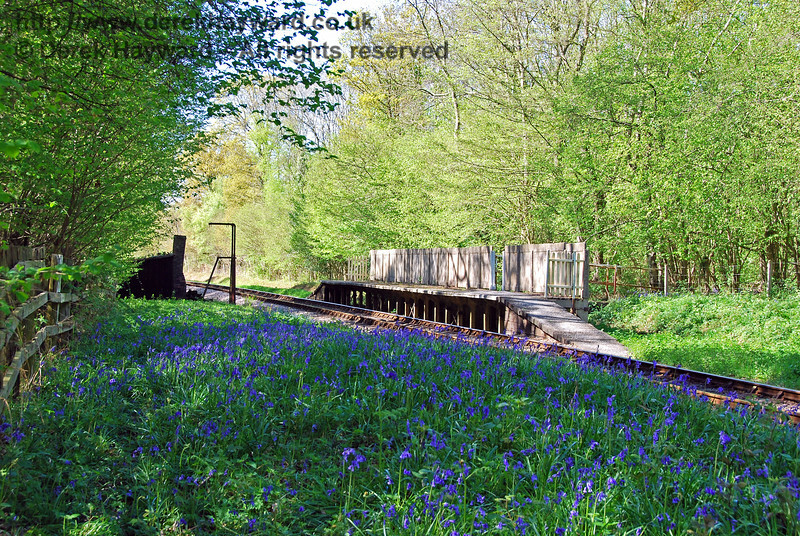 An opportunity to take a photographic tour along the Bluebell Railway, featuring the stations, signals, signal boxes, and lineside views along the line. 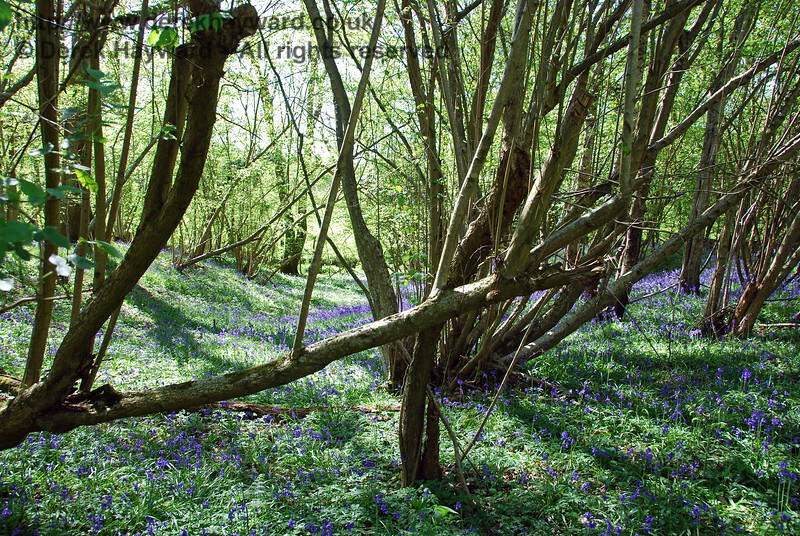 The photos in this collection date from the period 1998 to 2018. 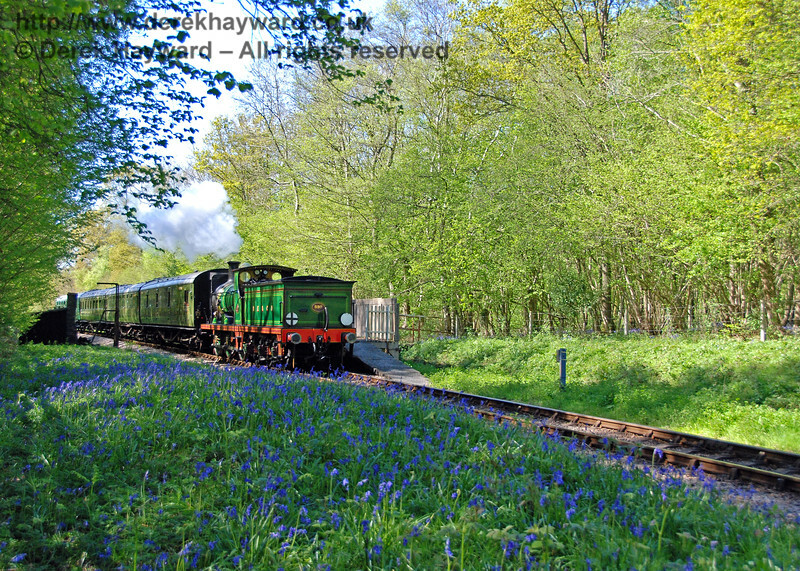 There are five collections covering the operational part of the line: (a) Sheffield Park Station; (b) the line from Sheffield Park to Horsted Keynes; (c) Horsted Keynes Station; (d) the line from Horsted Keynes to Kingscote and (e) Kingscote Station. 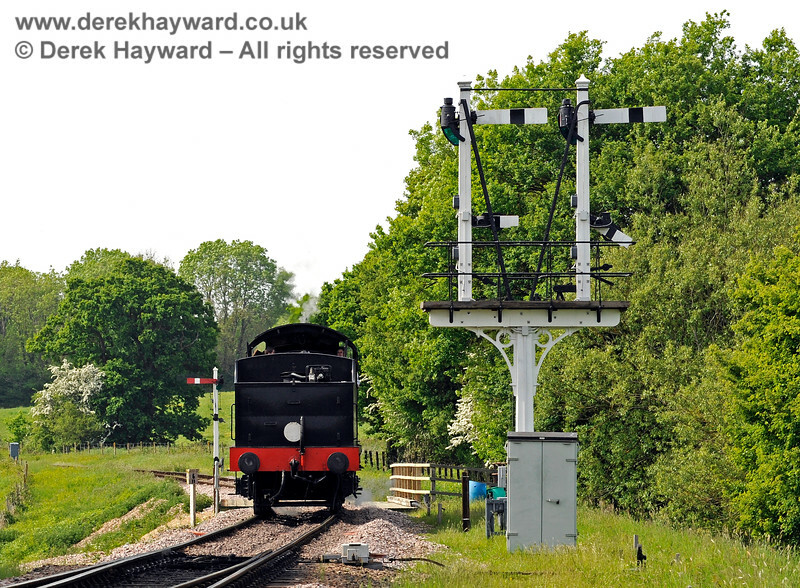 Signal boxes have separate collections: (a) Sheffield Park Signal Box; (b) Horsted Keynes Signal Box; and (c) Kingscote Signal Box (including the old southern box). 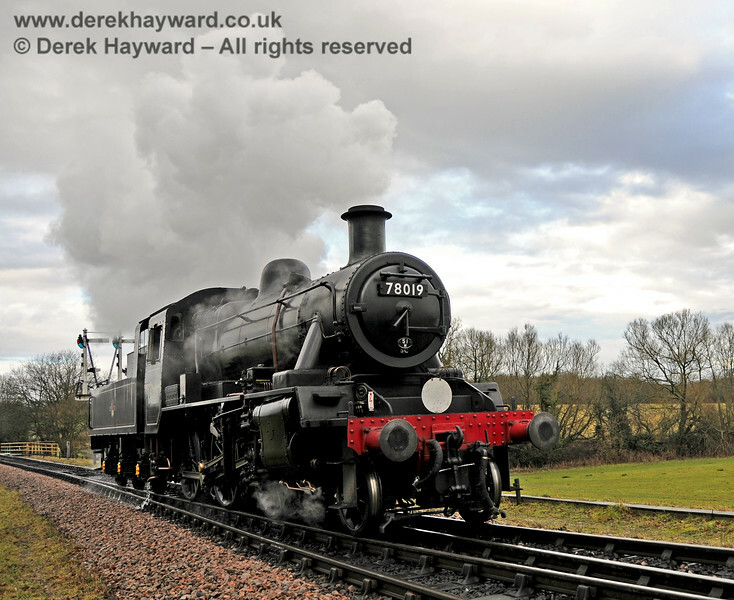 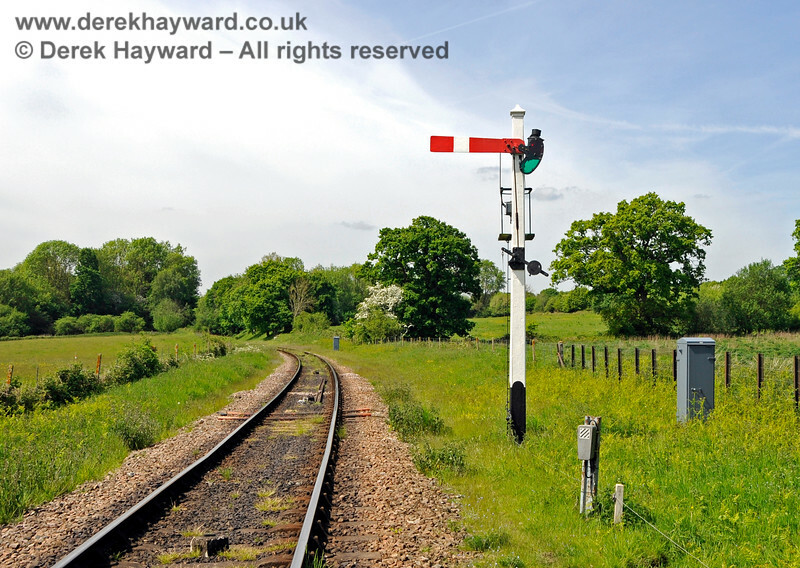 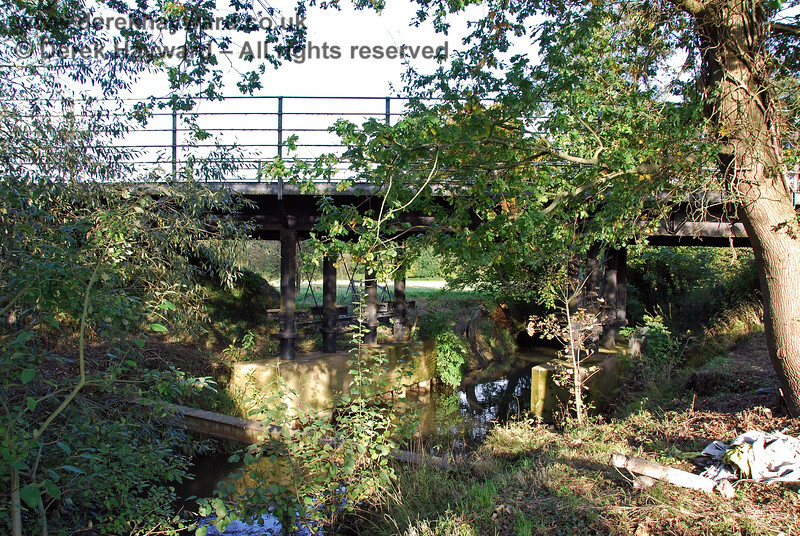 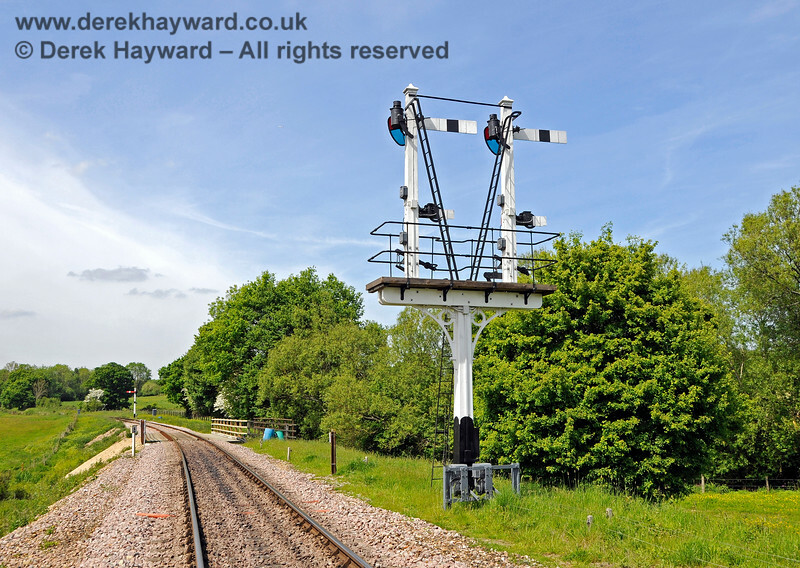 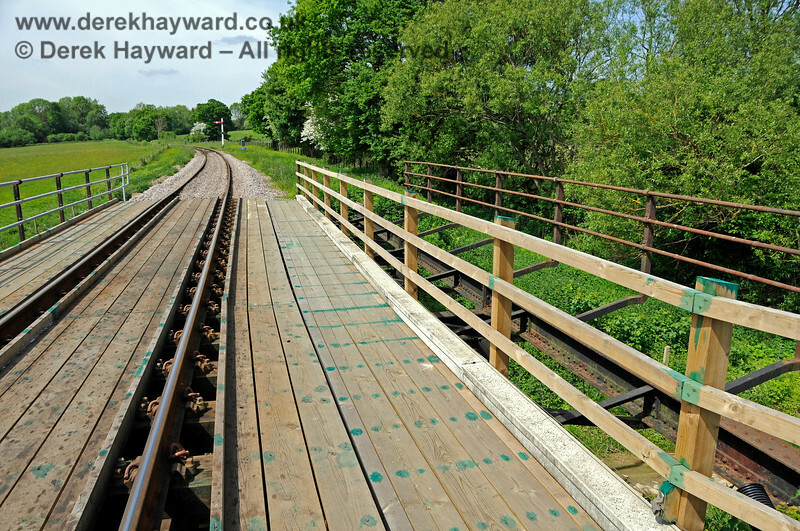 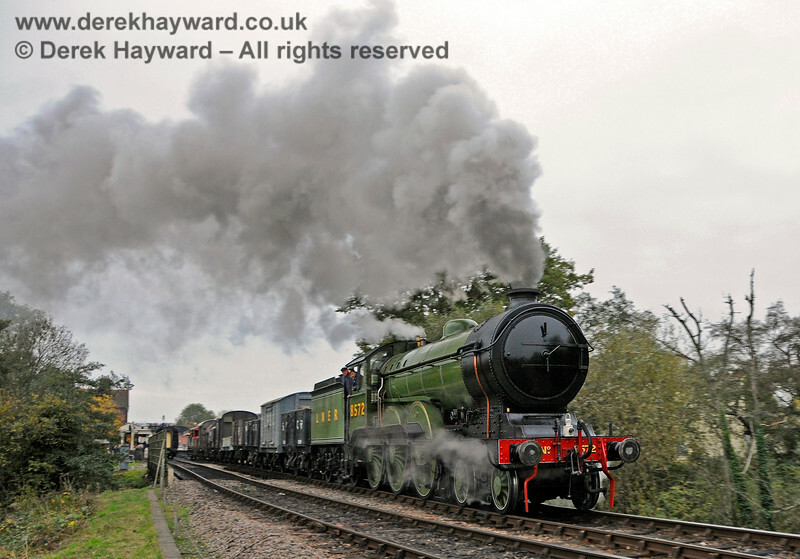 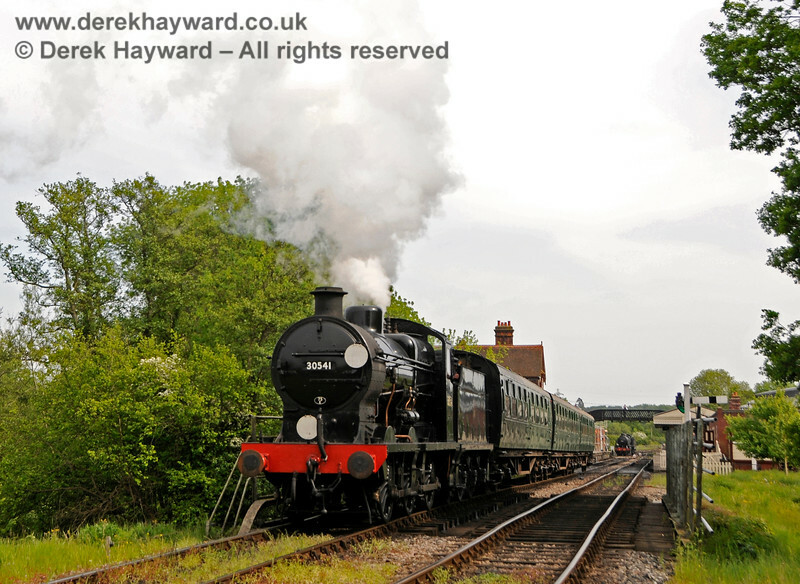 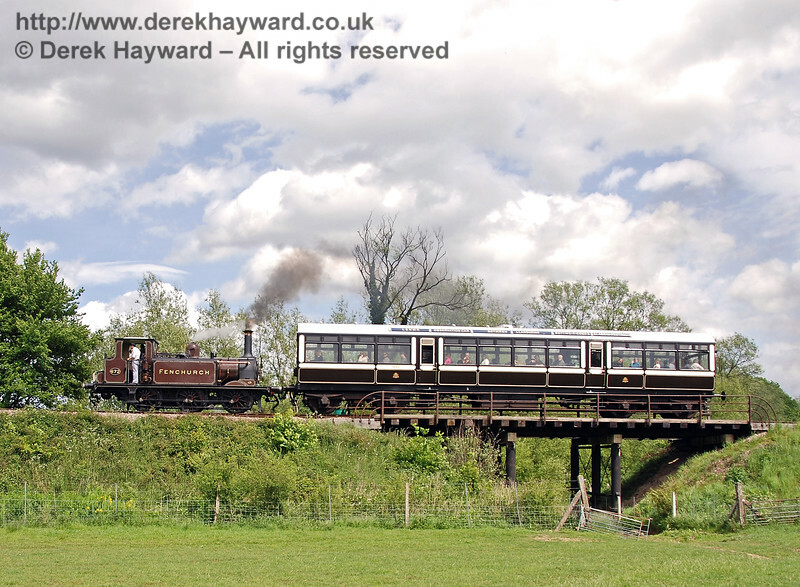 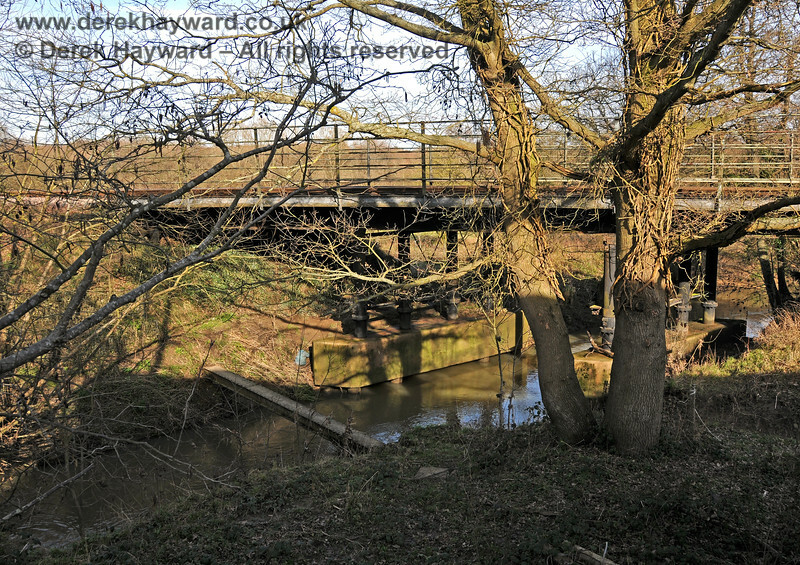 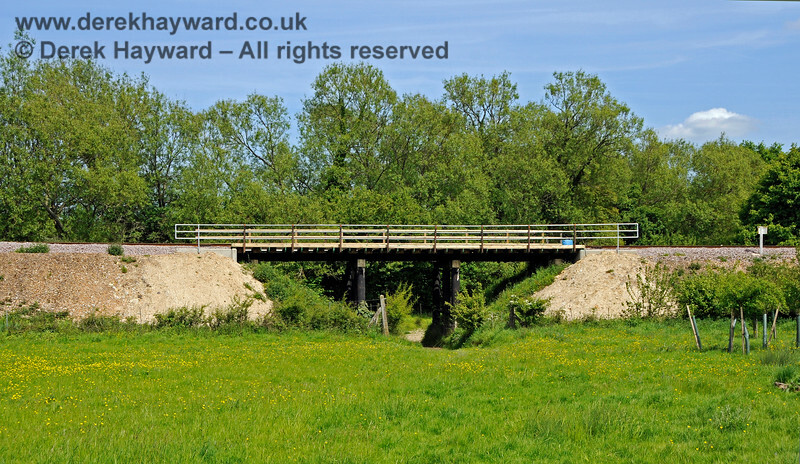 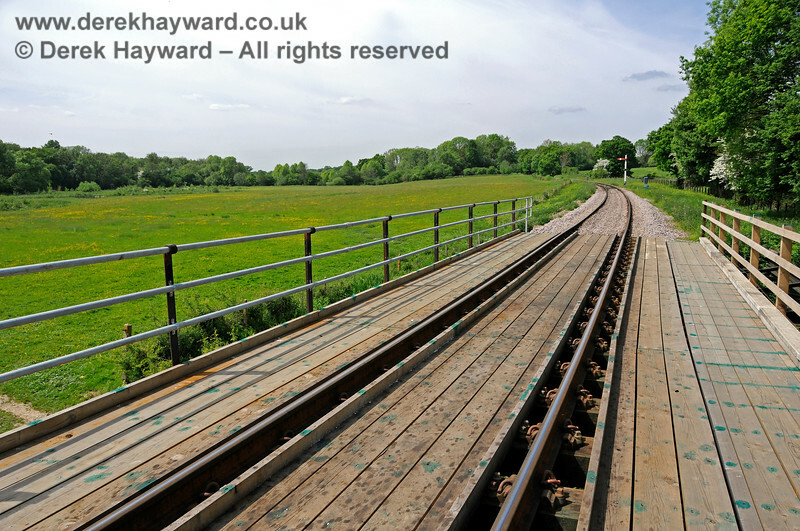 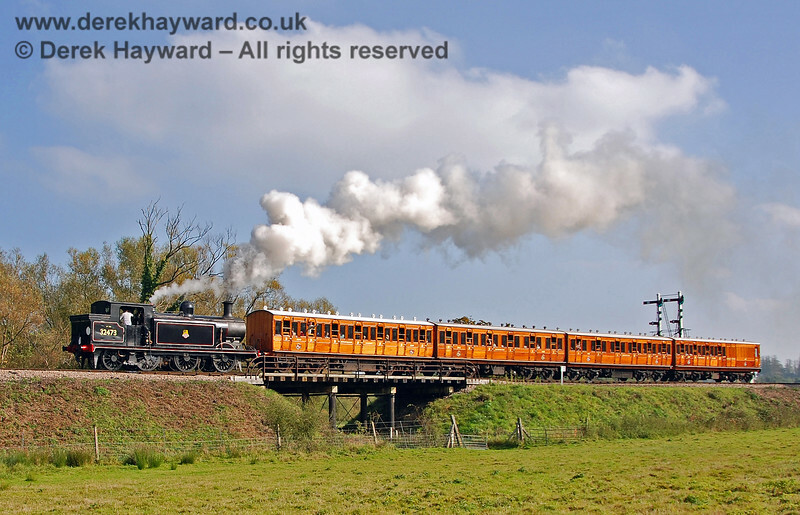 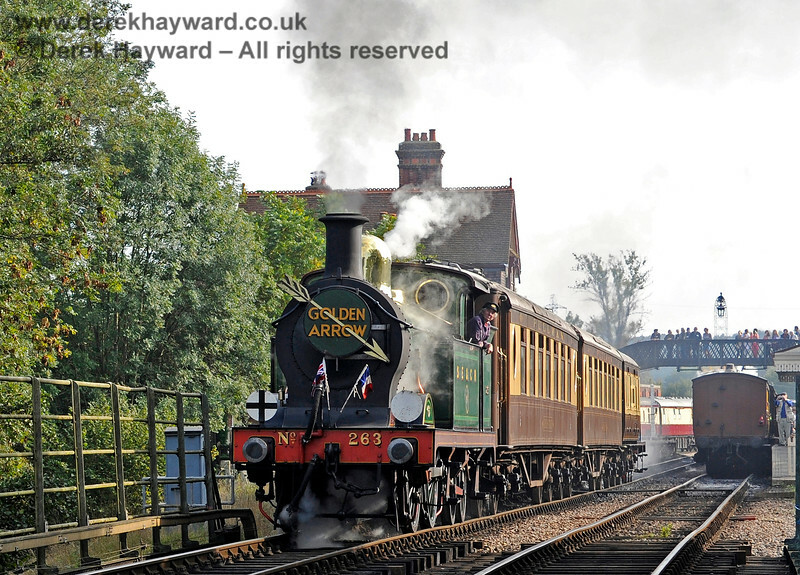 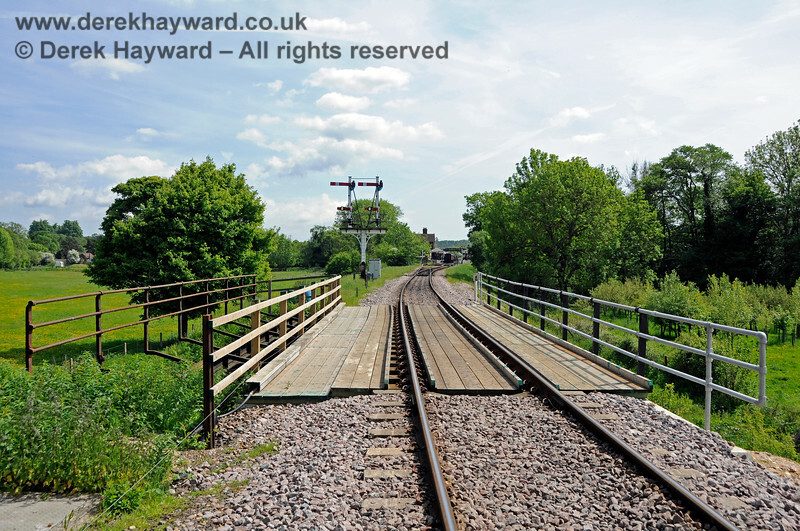 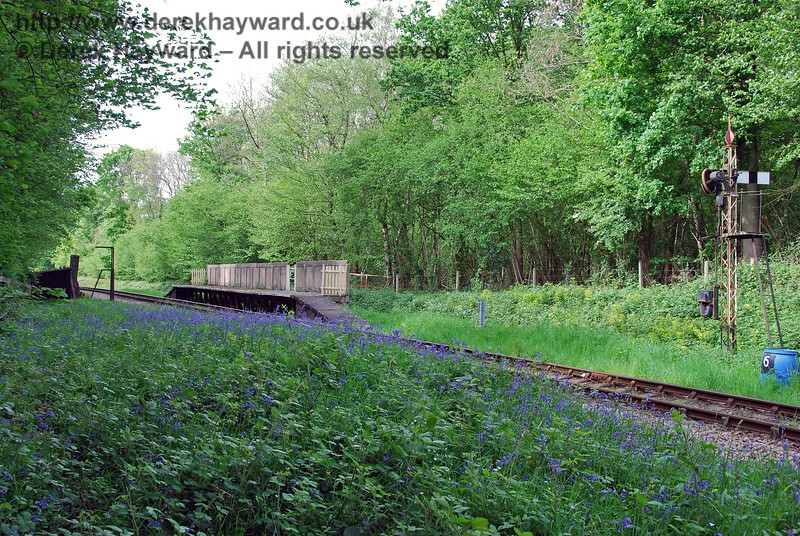 Photos relating to the Bluebell Railway's Northern Extension to East Grinstead are in several separate collections within the Photographic Tours index. 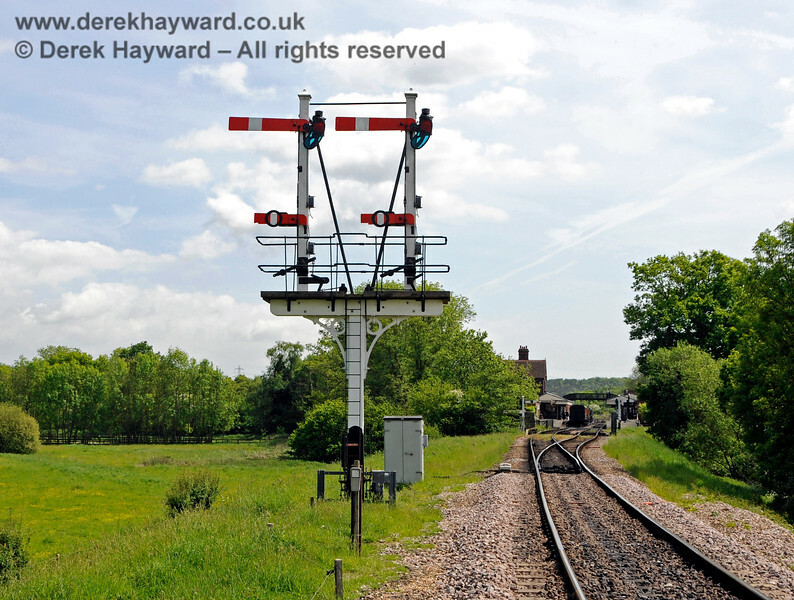 As trains leave Sheffield Park they pass the Inner Home bracket signal which incorporates Calling On arms to allow moves towards the platforms when they are occupied. 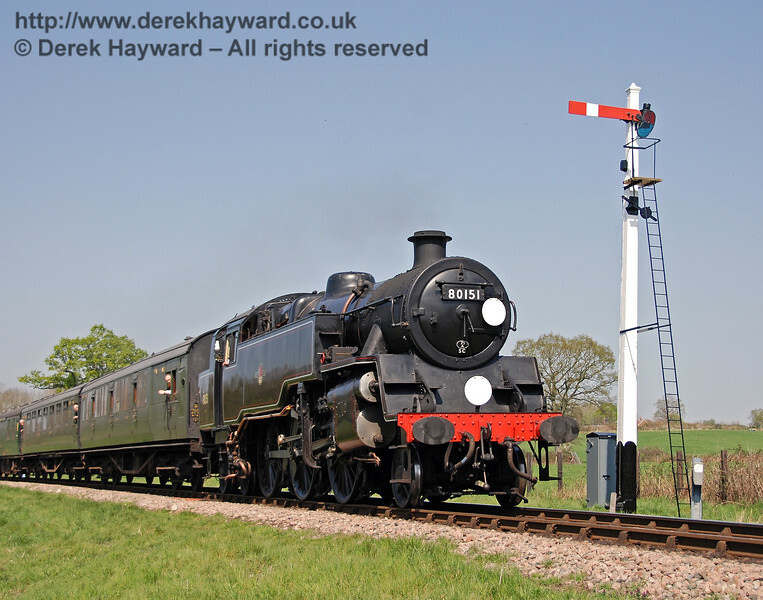 21C123 passes the signal on 10.03.2007. 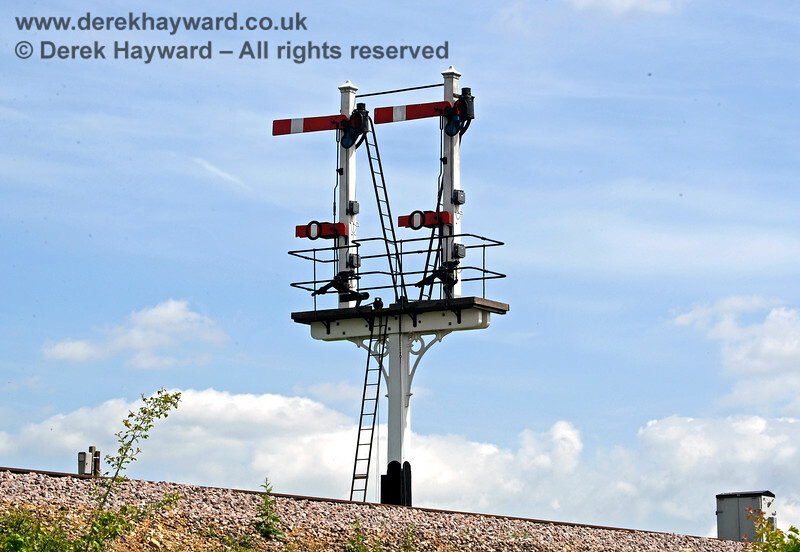 The Starting signal can be seen in the background in the Off position. 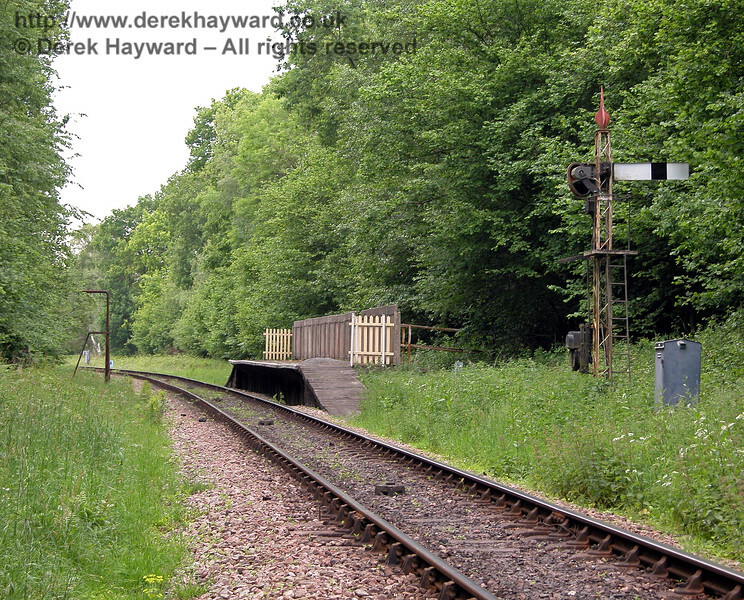 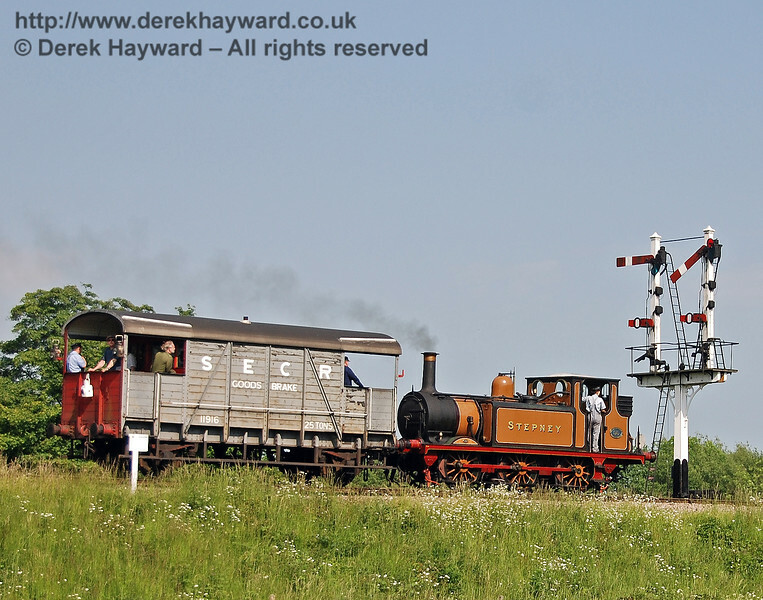 The same signal, in this case cleared for Stepney to enter Platform 2 with a returning Footplate Days and Ways course on 02.06.2007. 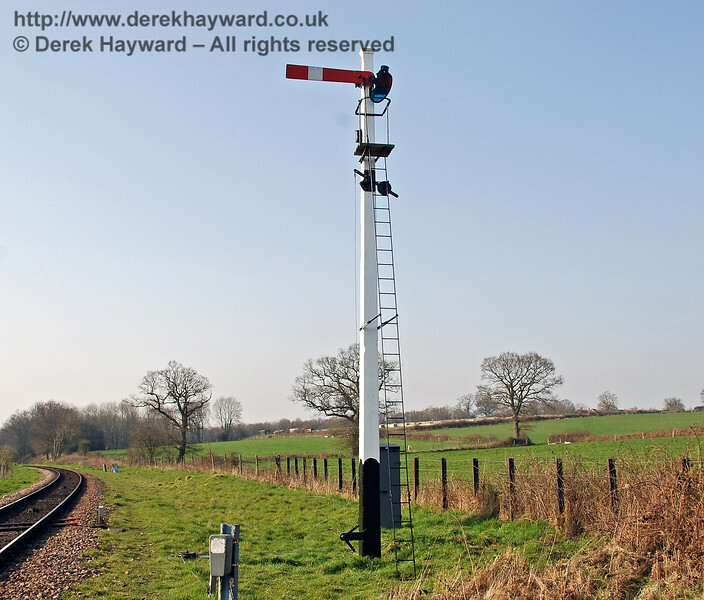 Unfortunately this signal suffered from rot and had to be replaced (see later). 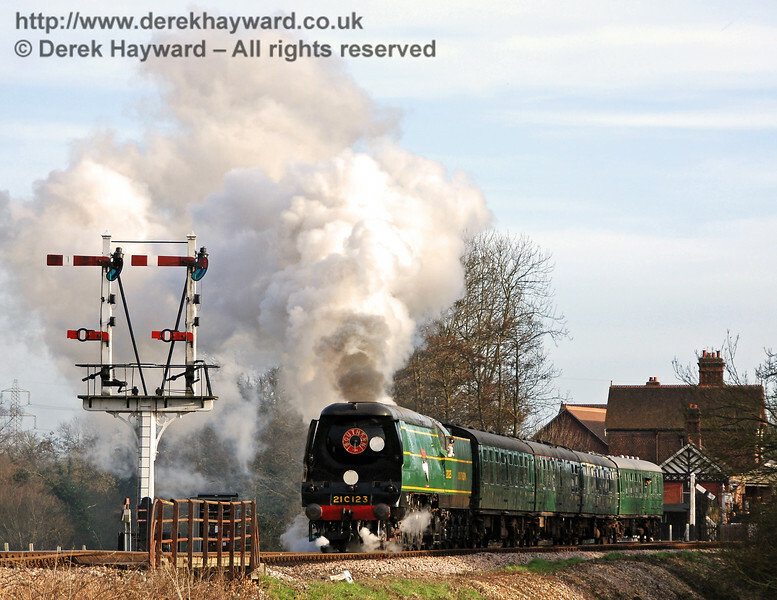 One of those shots where you are in the right place at the right time. 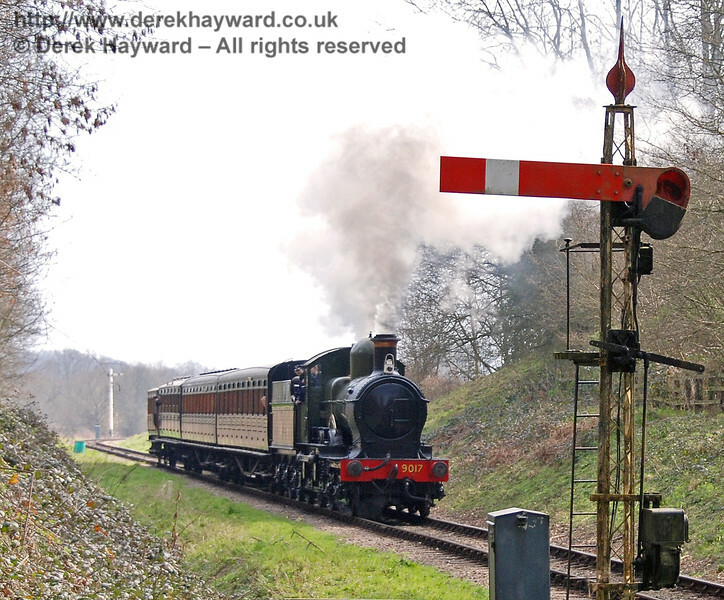 The Sheffield Park Inner Home bracket signal is pictured as a military helicopter passes by. 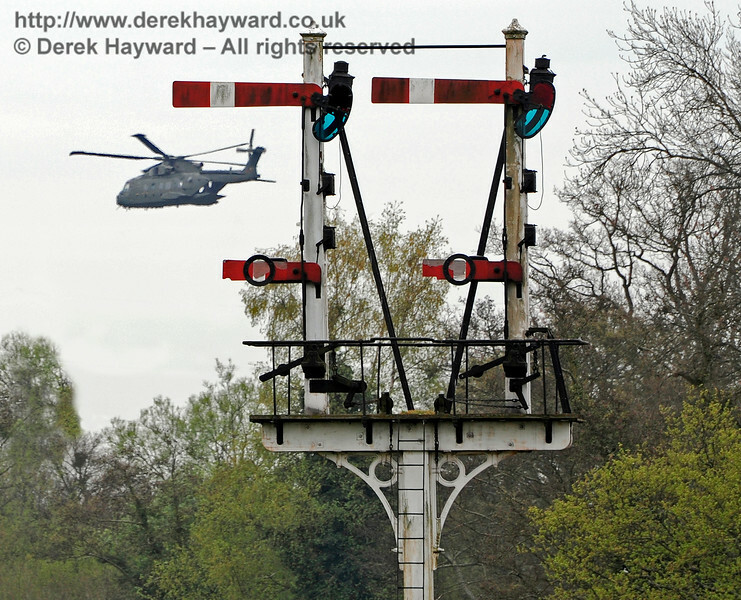 It is not that unusual to find helicopters overflying Sheffield Park. 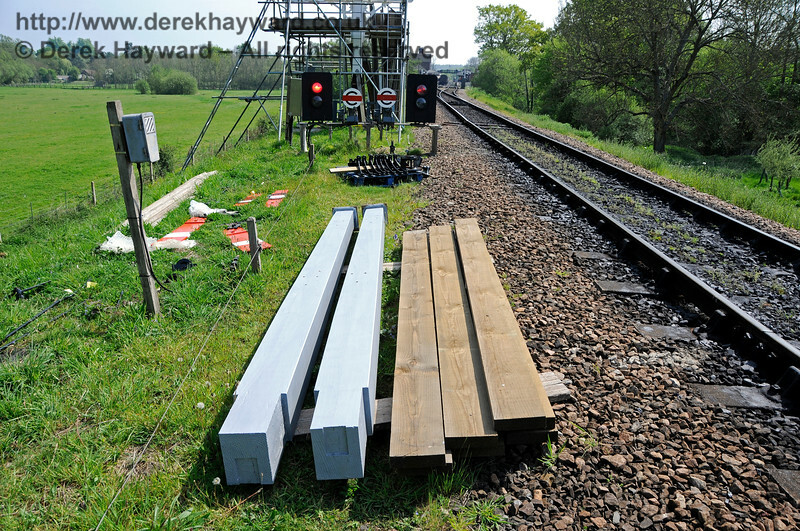 14.04.2011 0727 (For those in doubt this is not photo editing trickery). 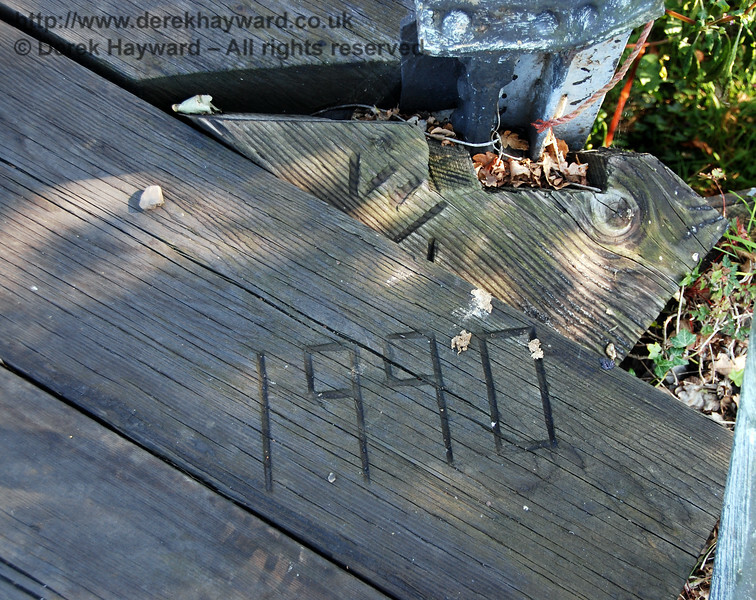 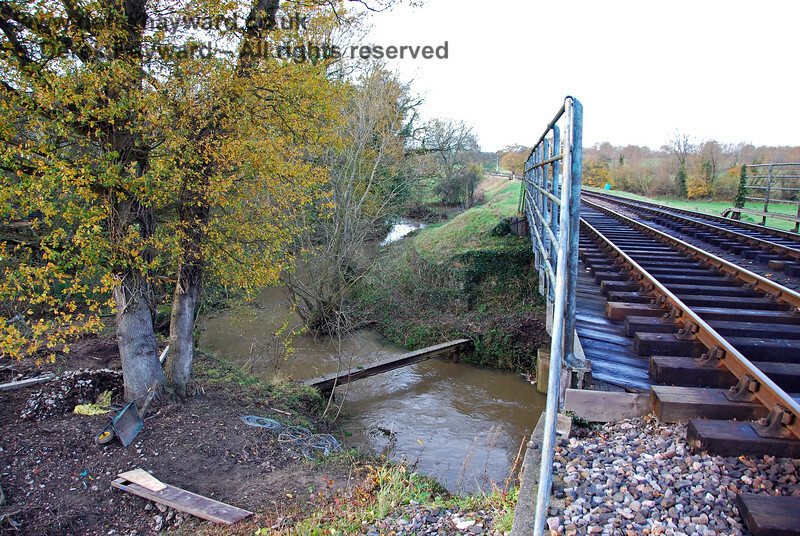 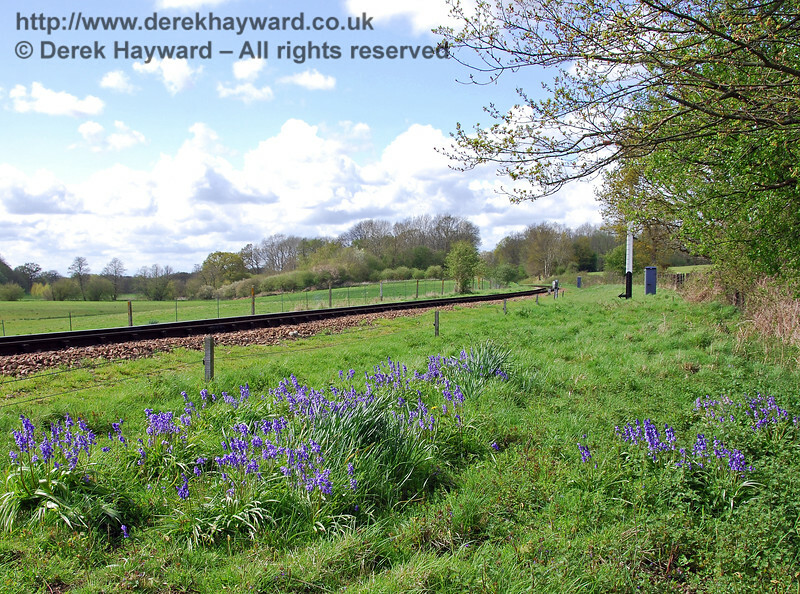 The first signs of The Bluebell Railway are just north of Poleay Bridge. 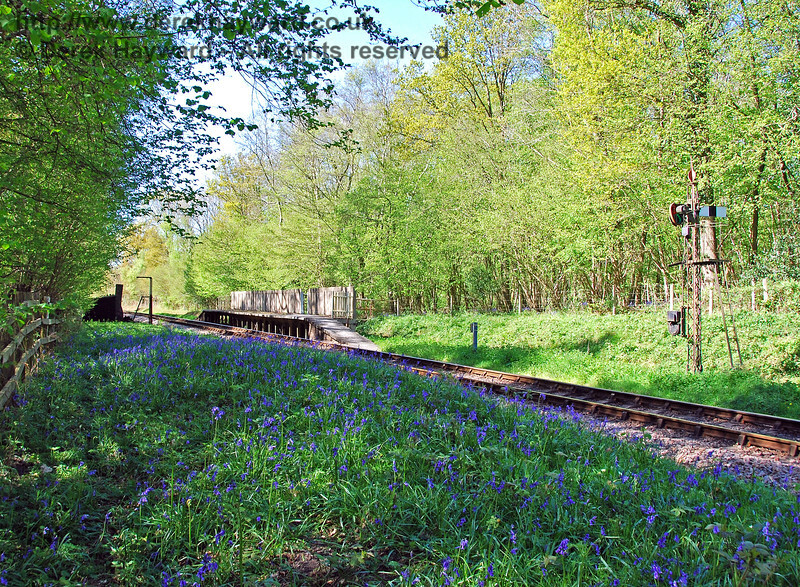 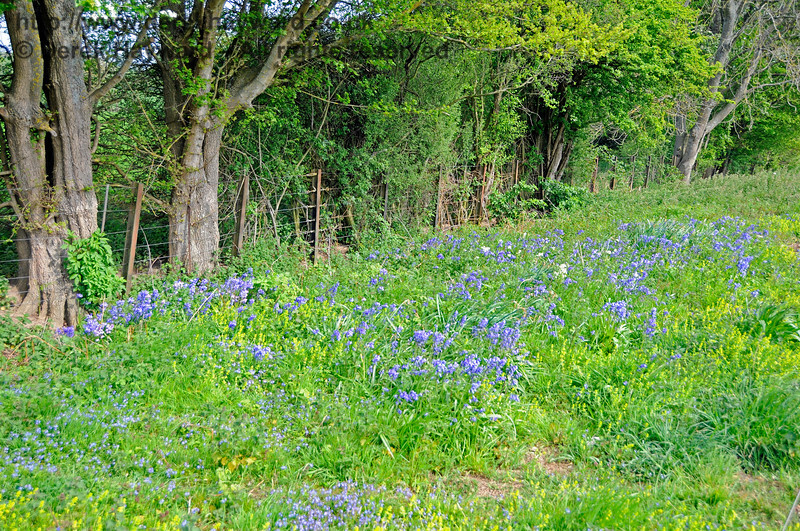 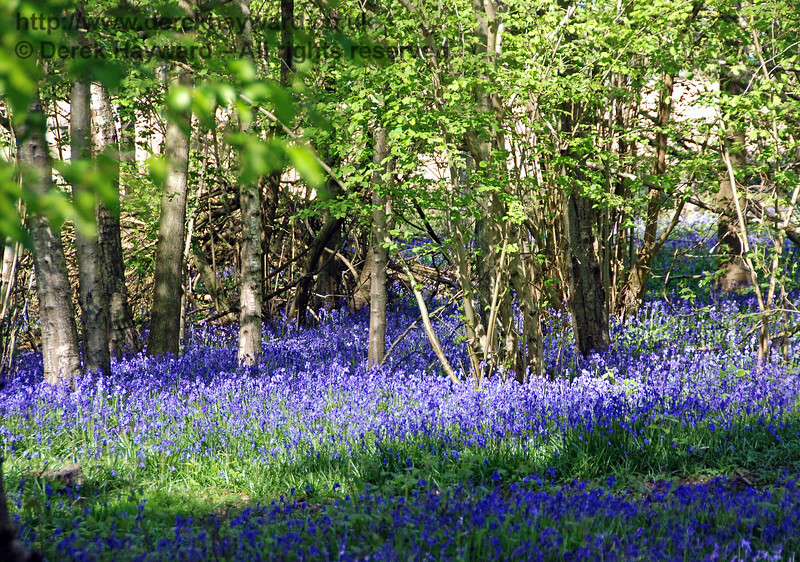 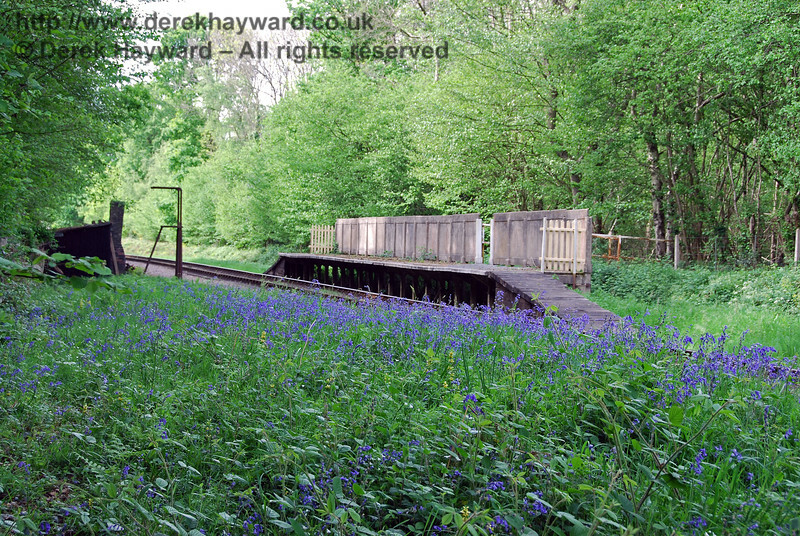 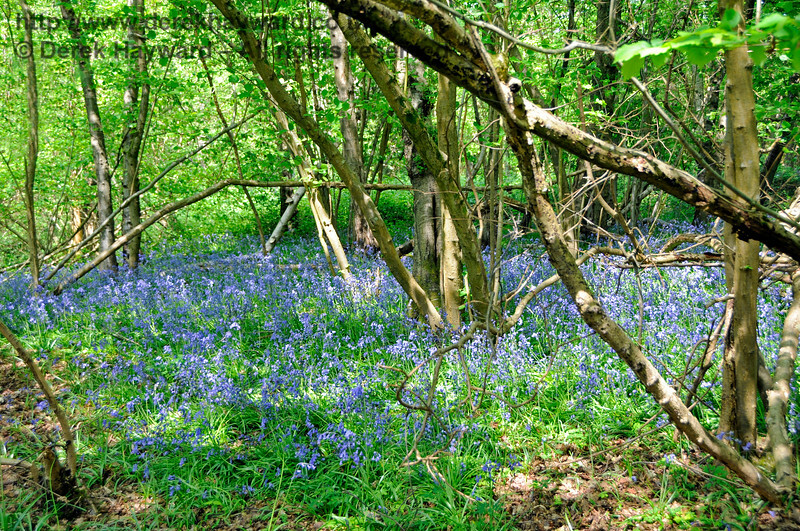 In spring Bluebell Specials allow the flowers to be viewed from the train. 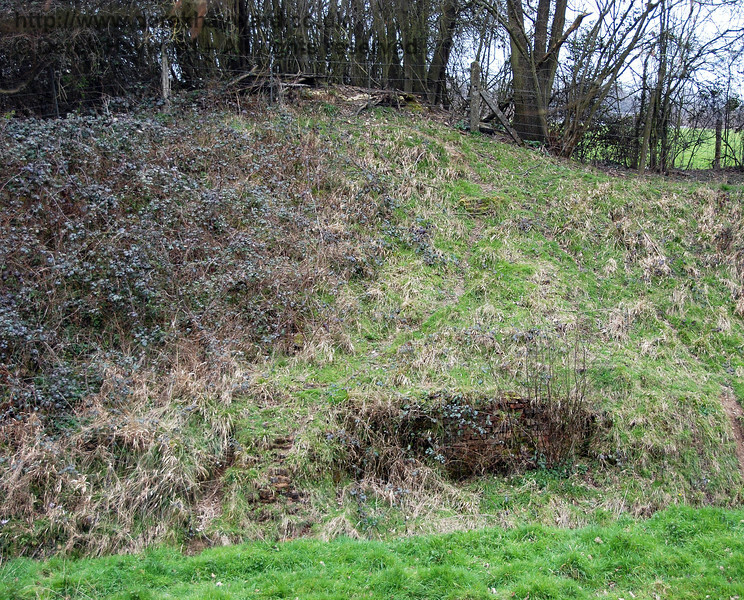 01.05.2008. 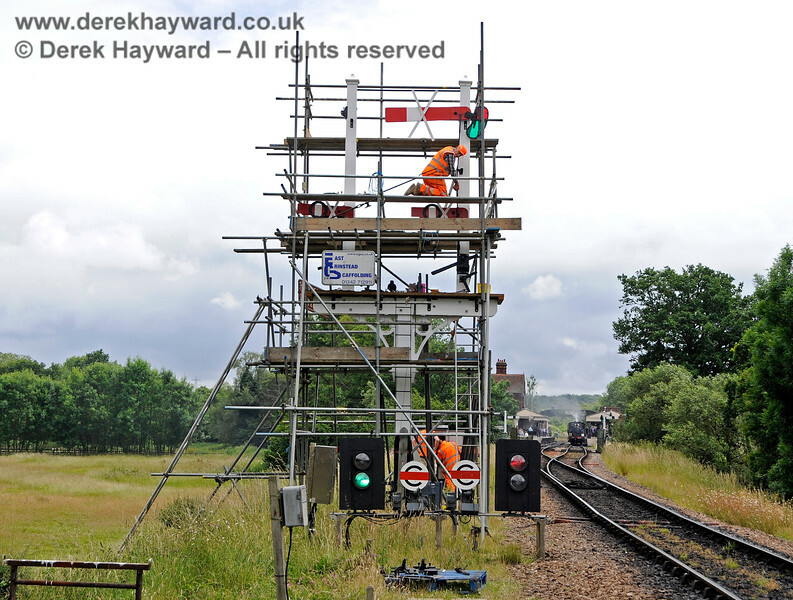 Signals have to be repaired and maintained. 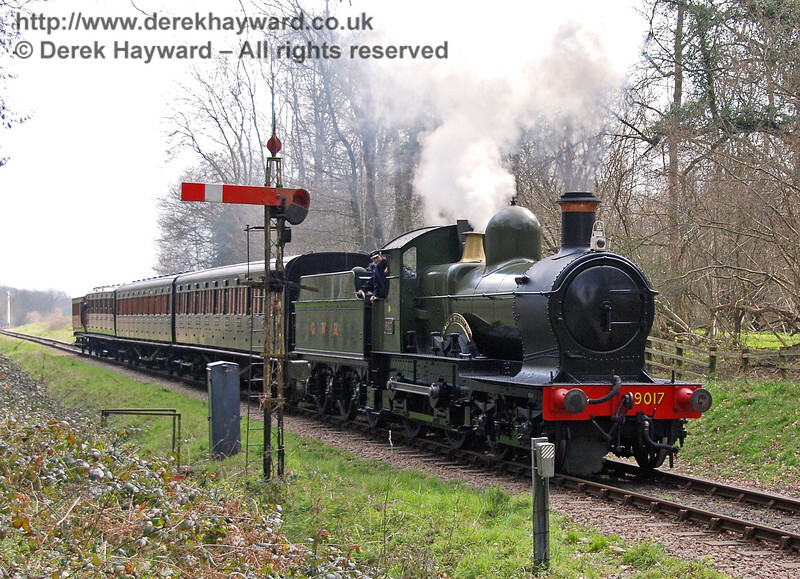 The Sheffield Park Advance Starter receives some refurbishment on 25.03.2007. 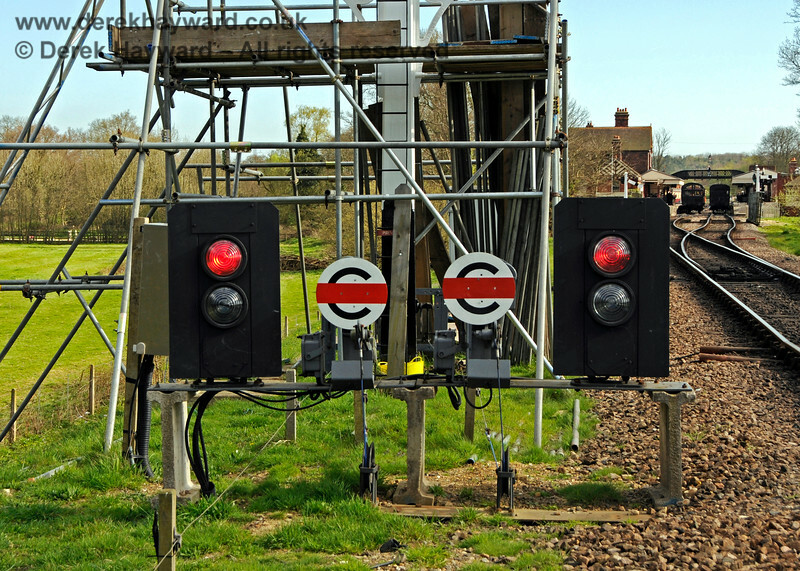 This signal was subsequently shortened owing to rot. 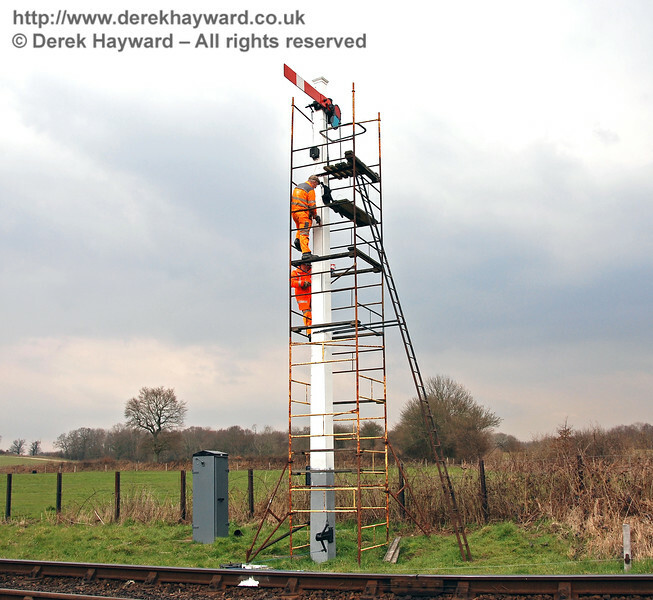 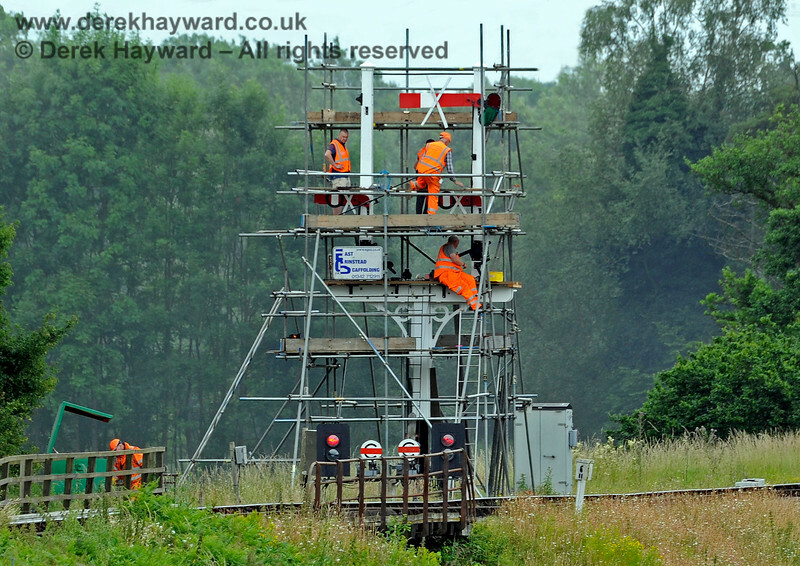 The finished Sheffield Park Advanced Starter signal, repainted, and with a new safer gallery fitted at the top. 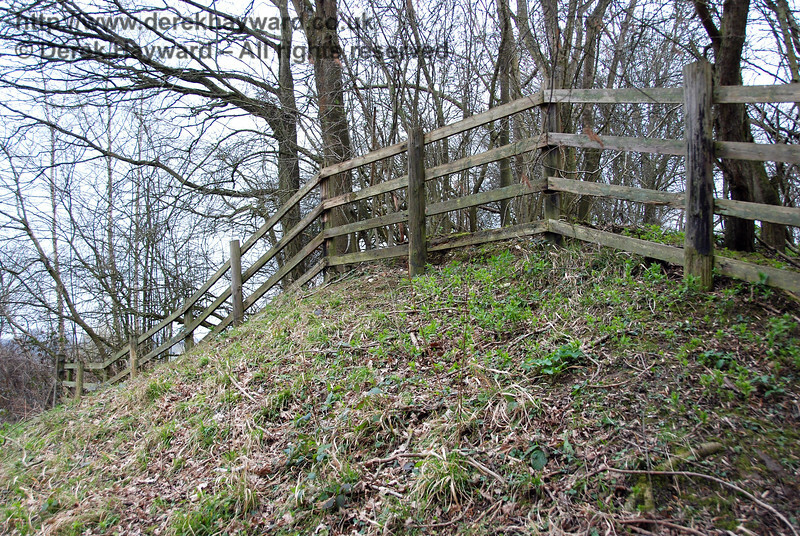 02.04.2007. 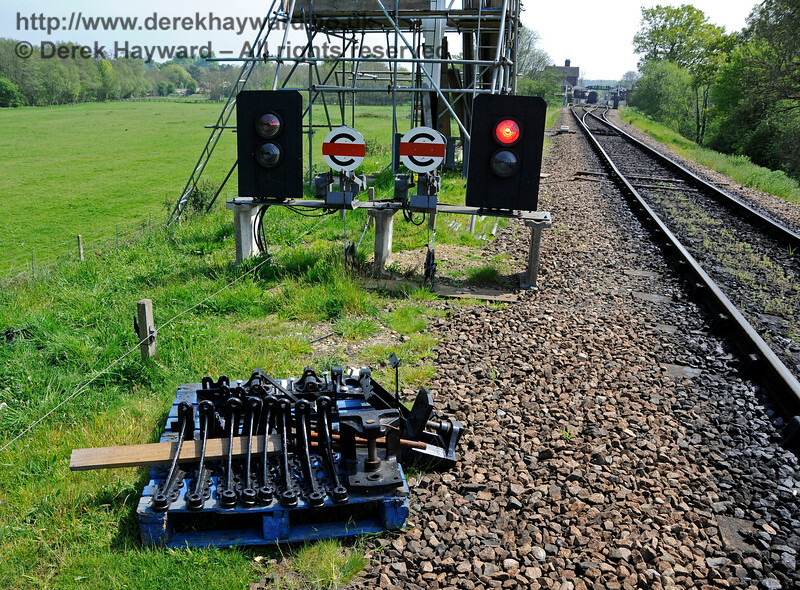 This signal was subsequently shortened. 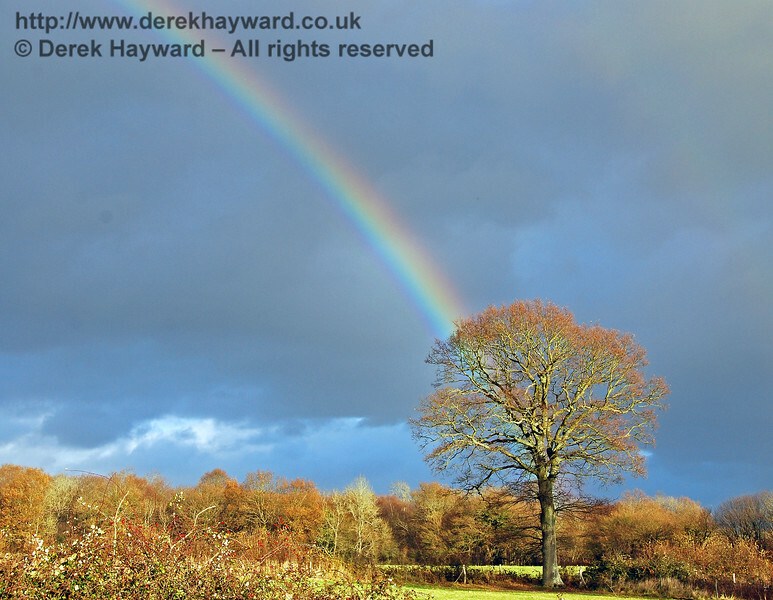 A rainbow caught in the eastern sky just north of Sheffield Park, with the low December sun also illuminating the trees. 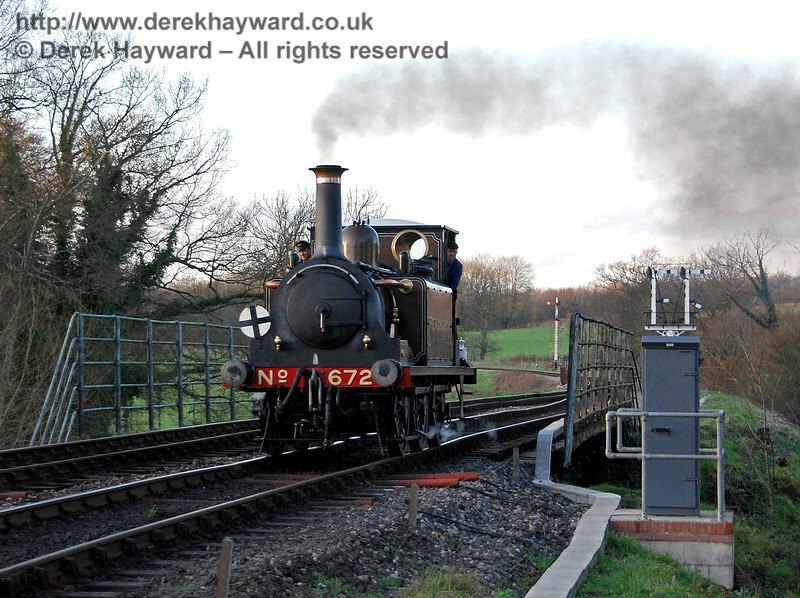 01.12.2007. 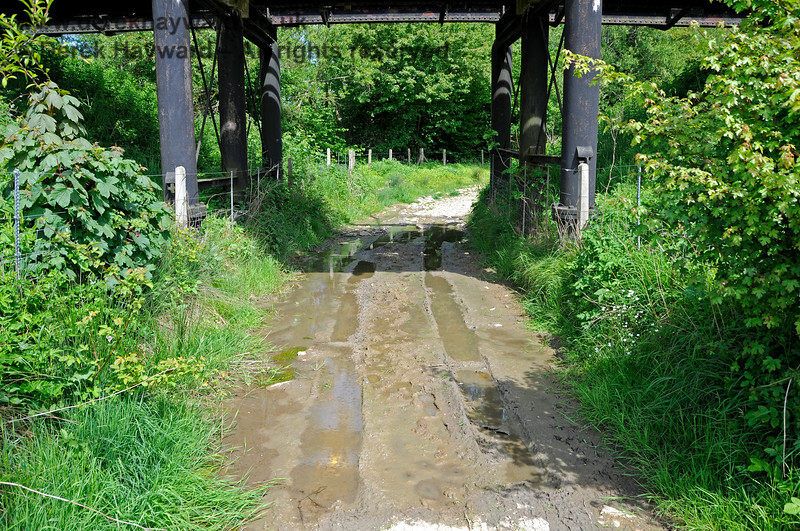 Unfortunately I got soaked by the heavy shower that caused the rainbow - you can't win them all!